The rest of the press release and more images after the break. Don’t keep your favourite tunes to yourself. Share them in rich, stereo sound with the slim, stylish new WALKMAN S540 series from Sony that comes in a choice of four contemporary colours (Black, Pink, Violet and Red). 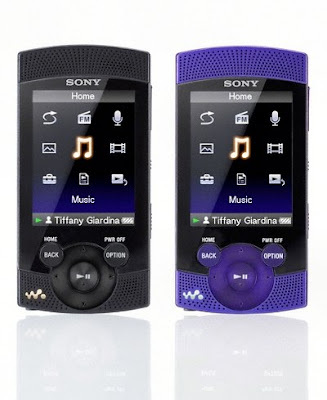 The perfect choice for anyone who loves sharing their music, it’s the first ever WALKMAN video MP3 player that includes two high-quality integrated stereo speakers. Just 10.2mm thin, the compact new WALKMAN still manages to find room for two high-quality stereo speakers guarded by a tough, stylish aluminium speaker grille. Whatever your listening preference, the slimline Digital Linear Phase Speaker System delivers satisfying, sound with solid bass and crystal clear highs. Listening on speakers is enhanced by Digital Linear Phase Speaker System technologies unique to Sony. Linear Phase Correction assures smooth, natural frequency responses. Virtual Bass enhances harmonic signals to reinforce the sensation of deep low-end frequencies. If you want to keep your music private, listening on supplied headphones is enhanced with unique Clear Audio technologies from Sony for a dynamic, detail-packed soundstage. Clear Stereo reduces leakage between left and right channels, while Clear Bass delivers powerful, controlled low-end frequencies without distortion. There’s a 5-band equaliser to fine-tune your listening enjoyment. In addition, a Dynamic Normalizer balances volume levels between songs ensures a smooth, comfortable listening experience. The player’s front panel is dominated by a big, bright 2.4” LCD screen. Offering high resolution plus superb contrast for detail-packed images, the screen is great for enjoying podcasts, downloads from online movie stores and video clips from sharing sites, where compatible. The screen’s quick response time allows smooth, clear video playback at up to 30 frames per second. Flip the player on its side and enjoy videos in landscape format, complete with a rich soundtrack from the in-built speakers. There’s even a handy stand accessory supplied for comfortable ‘hands-free’ table-top viewing. A range of major music and video formats are supported including rights-managed WMA and WMV. Importing music, video and photos is quick and fuss-free, with simple drag-and-drop from your PC’s media folder or via iTunes 8.1 using Content Transfer. MPEG1 and certain WMV files can also be played back on the Walkman when converted via Content Transfer. The included Content Transfer Software is available to install from the memory of the Walkman. Listening options are boosted by the on-board FM radio. There’s a handy on-board voice recorder that’s great for capturing college lectures and interviews or refining your own song ideas. It can also record your favourite broadcasts from the FM tuner for later listening. The WALKMAN S540 lets you keep listening for longer, with up to an incredible 42 hours listening time on headphones from a single charge. You can even listen for up to 17 hours through the built-in speakers. Battery life with video playback is a similarly impressive 6.5 hours: plenty to keep you entertained on that holiday flight or the daily commute to work. 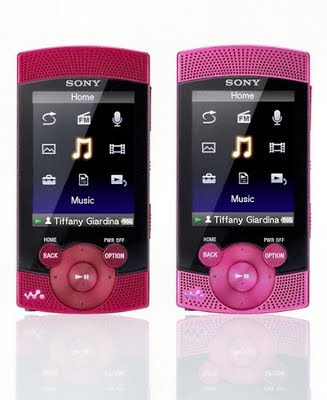 WALKMAN S540 series customers will also receive a special promotional voucher. This entitles them to download five FREE non-DRM music videos from the catalogue of over 10,000 video titles offered by online music store 7digital. 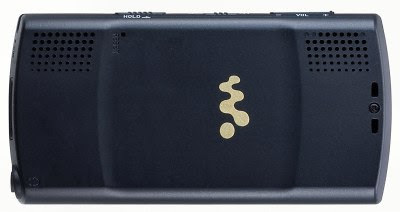 There’s a choice of stylish, practical accessories for the WALKMAN S540 series. Add extra protection with the CKS-NWU20 soft carry case or just-fit CKM-NWZS540 silicone case. Enjoy music on the go while you’re jogging or working out with the convenient CKA-NWU50 armband. The BCR-NWU7 charging cradle simplifies transfer and charging while also allowing analogue connection to external speakers; and the SRS-NWGU50 dock speaker fills the room with even more powerful sound. 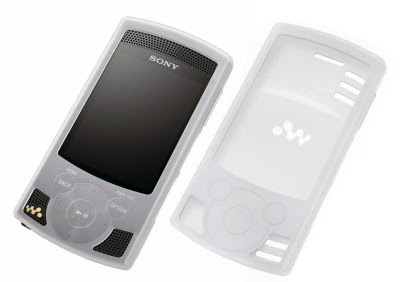 The WALKMAN S540 video MP3 player is available from September 2009 for the US and Europe. No price is mentioned in the European press release but the US press release states the 8GB and 16GB models will be about $110 and $130, respectively whereas in Canada the same models go for $130 and $160 CAN. The large price difference is not justified for Canada and should be much closer to the US price due to the Canadian dollar now in the 90 cent range and not in the 80 cent range.